World-class display teams from three nations will headline RNAS Yeovilton Air Day’s flying display on 11 July. Joining the RAF Red Arrows are the Spanish Air Force’s Patrulla Águila and the Royal Jordanian Falcons – just part of the international line-up planned to wow visitors to the show. 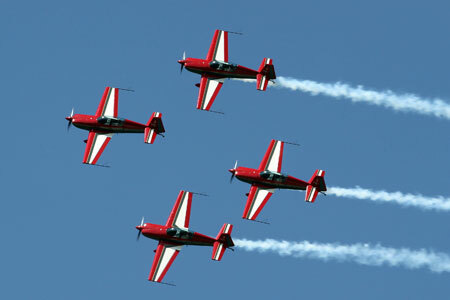 Patrulla Águila were formed in 1985, so are this year marking their 30th anniversary. The team’s last UK performance was at RNAS Yeovilton Air Day 2010, at which it won the best overall flying display award. Equipped with seven Spanish-built CASA 101 Aviojet training aircraft, Águila’s very smooth routine includes several manoeuvres performed by no other team including an impressive formation landing. The spectacular Royal Jordanian Falcons were formed in 1976 and perform with four Extra EA300L unlimited aerobatic aircraft. Their mixture of slick precision formation flying and dazzling solo aerobatics has made them an enduring and highly popular airshow act and they have been great supporters of Air Day in recent years. Having completed their 50th display season last year the Royal Air Force Red Arrows will be sporting a very striking tail design on their nine BAe Hawk T1 jet trainers. The globally-renowned Red Arrows will once more demonstrate their supreme flying skills in the Somerset skies when they perform at Air Day 2015. Advance tickets priced at £20 (adults) and £6 (children 5-15 yrs) are available to order from www.royalnavy.mod.uk/yeovilton-airday. At today’s RAF Cosford Air Show Media Launch, the event organisers announced a number of major changes to the show which will be held on Sunday 14th June 2015. A major change for this year is the move to become an advance ticket only event, which Air Show Director Clive Elliott explained; “In order to speed up entry and shorten queues there will be no tickets available on the gate this year. The change puts us in line with many other large public events and means we know how many visitors are coming and can deal with traffic and parking more effectively.” Tickets for the show are already on sale, both online and from various outlets across the West Midlands. With the show increasing in popularity each year, the car parking areas have been reviewed for 2015, with the introduction of off-base parking. These new car parking arrangements combined with enhanced traffic routes around the airfield mean that organisers are expecting minimal disruption to visitors. With access to the show being such a key issue, the organisers have again teamed up with Arriva Trains Wales, London Midland, and for the first time Virgin Trains, to bring an increased rail service on Sunday 14th June. 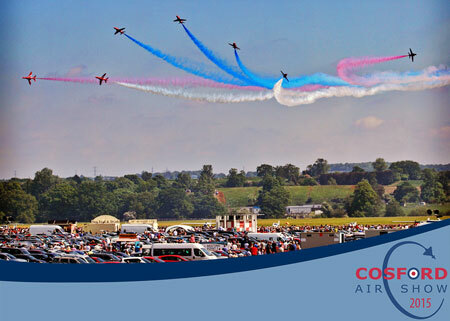 Combined rail & air show tickets are available from all manned UK railway stations, with air show admission discounted to £18.00 for those travelling by rail. The RAF Museum in Hendon today outlined its plans to celebrate and commemorate the Centenary of the RAF in 2018, after the Chancellor announced in his Budget last week that the museum is to receive a £2.5 million grant to support the programme. The museum revealed its ambitious programme of activities for the summer of 2018, as the Exchequer Secretary to the Treasury, Priti Patel, visited the museum to learn how the funding will be used. The museum’s plans include re-landscaping the site to create a sense of the original London Aerodrome that stood on the ground nearly 100 years ago. The museum will also build a new visitor centre with a café, shop and soft play area. A series of new permanent exhibitions will open in the summer of 2018. ‘The First 100 Years of the RAF’ and ‘Now and the Future’ exhibitions will enable visitors to understand the story of the RAF from its earliest years in the First World War to its global role today. The “Air Power in an Age of Uncertainty” exhibition will focus on the roles of the RAF since the early 1980s. The museum is also rolling out a new digital programme, “My RAF Story”, which will collect and share personal stories of the men and women of the Service to ensure they are preserved for future generations. Additionally, a new learning programme will aim to inspire young people in science, technology, engineering and maths (STEM) subjects. “The RAF Museum in Hendon is a great cause and I’m delighted that the LIBOR funding will provide a necessary cash injection towards their plans to celebrate this important landmark in the RAF’s history. “So far, through LIBOR fines on banks, we’ve taken around £450m from those who broke the rules and demonstrated terrible values, and used the funds to support our brave forces across the UK, and other good causes.? A two-ship role demo featuring BAE Systems’ Hawk T2s, a Spitfire/Typhoon ‘synchro’ display and the Red Arrows are among the list of RAF aircraft that will be on display in the air and on the ground at this summer’s Air Tattoo at RAF Fairford on July 17-19. Following on from its 50th display season celebrations at the Air Tattoo last year, the Red Arrows will be displaying throughout the three-day event sporting a patriotic new design on their tail fins. A newer model of Hawk will be featured in a routine making its public airshow debut at the Air Tattoo. This is the Hawk T2, BAE Systems’ latest version of the enduring design. No IV (Reserve) Squadron, stationed at RAF Valley on Anglesey, is putting together a new two-aircraft ‘role demo’ to showcase the type’s capabilities on the airshow circuit for the first time. The Hawks will demonstrate something of the training performed at Valley, being flown by two instructors on the unit, Flt Lts Ben Polwin and Toby Keeley. RIAT 2015 will be the role demo’s inaugural appearance in front of a public air display crowd. Representing the ‘cutting edge’ of the RAF’s front line at the Air Tattoo, very appropriately given the event’s operational theme of Securing the Skies – Past Present Future, will be the solo Eurofighter Typhoon FGR4 display from No 29 (Reserve) Squadron at RAF Coningsby. 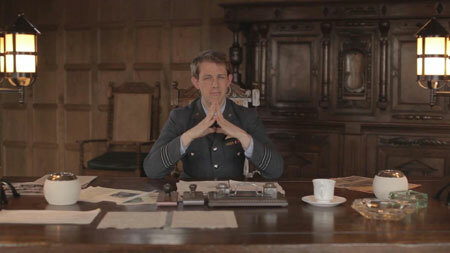 This year’s pilot is Flt Lt Jonny Dowen. Representing the old and the new of UK air defence, a Typhoon will also team up with a Spitfire from the RAF Battle of Britain Memorial Flight for an evocative and spectacular ‘synchro pair’ routine, this part of the service’s contribution to the Battle of Britain 75th anniversary commemorations taking place this year. Aside from the two Hurricanes and four Spitfires already confirmed as coming to RIAT 2015, the BBMF is also sending its majestic Avro Lancaster bomber. In addition to those aircraft taking part in the flying displays, the RAF is also committing a number of assets to the RIAT 2015 static park. Especially notable among these are a Sea King rescue helicopter from ‘A’ Flight of No 22 Squadron, probably making its final Air Tattoo appearance before retirement, and a Tornado GR4 operated by No XV (Reserve) Squadron, a unit celebrating its 100th anniversary in 2015 with a specially-painted aircraft. Other RAF support for the show is still in discussion. Visitors will also be able to find out more about the RAF in the RAF Village, where there is the opportunity to experience first-hand what happens when the RAF responds to a humanitarian crisis. From pilot to chef, you’ll discover the vital role each unit plays to fulfill the mission. A wide variety of units will be represented there, including the Red Arrows and the Battle of Britain Memorial Flight. Financial penalties levied on banks involved in the LIBOR lending rate-fixing scandal will benefit the RAF Museum in North West London, the Chancellor announced in the last Budget before the General Election. 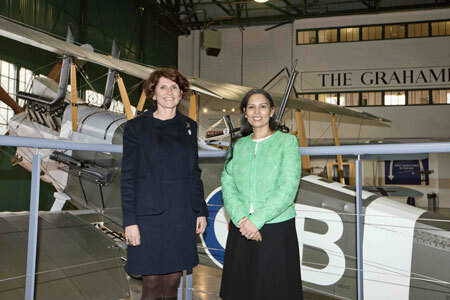 George Osborne said the government will help renovate the RAF Museum in Hendon.The announcement came after Hendon MP Matthew Offord held discussions with the new Chief Executive of the RAF Museum, Maggie Appleton at the end of February. During these talks Ms Appleton outlined the plans of the Museum to commemorate the centenary of the Royal Air Force in 2018 and asked Matthew what assistance he could provide in securing the support from the Treasury. With the news of the Red Arrows attendance, organisers are again reminding visitors of the new advance ticket only policy, which means unlike previous showstickets will not be sold at the gate. Adult tickets, priced at £22, are already on sale online and will be available from selected outlets from April. After the sell-out success of last year’s P.S.B. gigs, get ready for Domino Theory – The RAF Museum’s immersive experience that will take its audience on a Cold War trip like no other. Cross the Iron Curtain, build the Berlin wall and use your spy skills to crack codes and become the super-power of the 20th century! For one night only, the RAF Museum in North London will provide an atmospheric setting for a spy mission like no other. The battle lines are divided between the U.K the U.S.A and the USSR. Its spy vs spy in a heady world of gadgets, casinos, discos and more in a night of themed entertainment. DJ Yoda, is a hip hop producer like no other, subverting the tradition with wry invention and humorous intent. Yoda takes the art of turntablism to new extremes, practising it in unexpected situations. He has spent the best part of two decades as an audacious exponent of the form, winning awards, releasing an eclectic series of mixtapes that prove you can apply cut-up techniques to everything from classical to country, and generally offering a uniquely British take on hip hop music and culture. Museums at Night is the UK wide annual late night festival of arts, heritage and culture. Over the weekend of Wednesday 13 – Saturday 16 May 2015, hundreds of museums, galleries and historic spaces all over UK will be opening their doors at night-time for a whole host of unique and exciting events. Full listings can be found at www.museumsatnight.org.uk. Northern Europe’s only flying MiG-15 will be making a rare UK appearance in the flying display at RNAS Yeovilton International Air Day 2015 on Saturday 11 July. The Cold War classic jet fighter belonging to the Norwegian Air Force Historical Squadron will be the first of its kind to display in this country since the late-1990s. 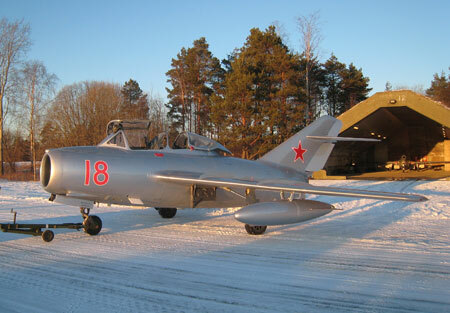 In all, more than 18,000 MiG-15s were constructed, mainly by the Soviet Union, but also some among them were Polish-built variants of which the Norwegian Air Force Historical Squadron’s example is one. It wears the markings of the aircraft flown by famed Soviet cosmonaut Yuri Gagarin before he became the first man to visit outer space in 1961. Given the shared border between north-eastern Norway and Russia, and the many encounters between Royal Norwegian Air Force and Soviet aircraft during the Cold War, the MiG-15 is an appropriate addition to the Norwegian Air Force Historical Squadron as a representative of the-then Cold War ‘enemy’. The MiG-15 is also well known for its role in the Korean War – a conflict which involved Royal Navy operated Hawker Sea Furies. Piloted by Lieutenant Peter ‘Hoagy’ Carmichael, one such Sea Fury FB11 made history when it downed a MiG-15; one of the very few times when a piston-engined aircraft has gained superiority over a jet. The Royal Navy Historic Flight based at RNAS Yeovilton operates two Sea Furies including an FB11 fighter-bomber variant which will be taking part in the static display. Air Day visitors will thus have the very rare opportunity to see both Korean War types at the show. 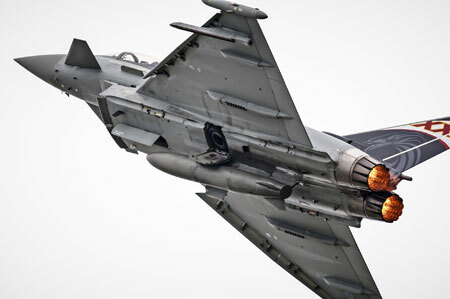 Plans for Airbourne, Eastbourne’s international air show have got off to a flying start this year with the Red Arrows, Eurofighter Typhoon and Vulcan cold war bomber all confirmed to fly at the free, four day air show which returns from 13 – 16 August. 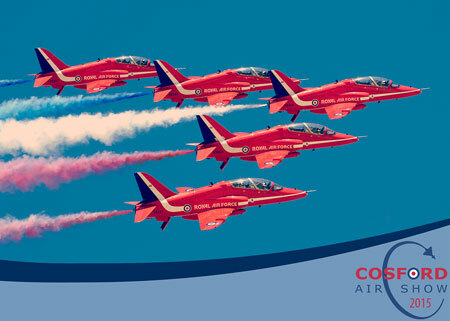 Featuring new look Union Jack tailfins, the world renowned RAF Red Arrows display team will wow crowds on the seafront, beaches and reopened pier with three performances over Eastbourne, in one of the UK’s busiest free flying displays. Joining the line-up, the RAF Eurofighter Typhoon will provide a fast jet highlight on three days and historic fans can look forward to the return of the Battle of Britain Memorial Flight, which features a four-ship formation from the Lancaster, Spitfire, Hurricane and Dakota. The world’s only flying Vulcan bomber makes an appearance as it nears retirement and the Tutor returns to display its agility, along with a new variant Hawk T2 duo display. The four day show also features plenty of fun on the ground, including a military exhibition, live music on the beach stage, children’s entertainment areas, helicopter pleasure flights, evening concerts and fireworks, which move to a new slot on Saturday night. 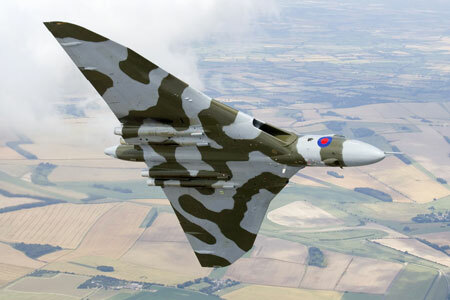 Now in what could possibly be its final display season, the Vulcan cold war jet is set to perform over Eastbourne in a remarkable return to the show, after record donations from Airbourne fans last year. The bomber, which last visited the show in 2012, is a rare sight and unique to the display circuit. The flying display is part funded from public donations each year at Airbourne, thanks to local resident David Dickens and collections organised by Marco and Cathy Giorgi along with the Rotary Clubs of Sovereign Harbour and Hailsham, with 30% of the proceeds also passed onto local charities. 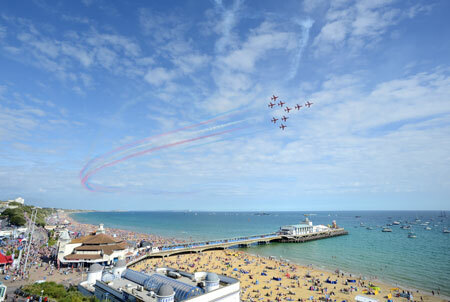 For more information or to book online visit www.eastbourneairshow.com.